DUBAI, United Arab Emirates — Saudi authorities have detained at least six activists, including three of the country's most prominent women's rights campaigners, just weeks before the kingdom is set to lift a ban on women driving, people familiar with the arrests said Friday. The Associated Press spoke with two people in touch with the detainees' relatives. One activist, who spoke on condition of anonymity for fear of repercussion, said five were arrested on Tuesday and the sixth person was detained on Thursday. Several more are feared to be detained and others have been banned from traveling abroad by the government. The government has not commented on the arrests and government spokespeople did not immediately respond to a request for comment. 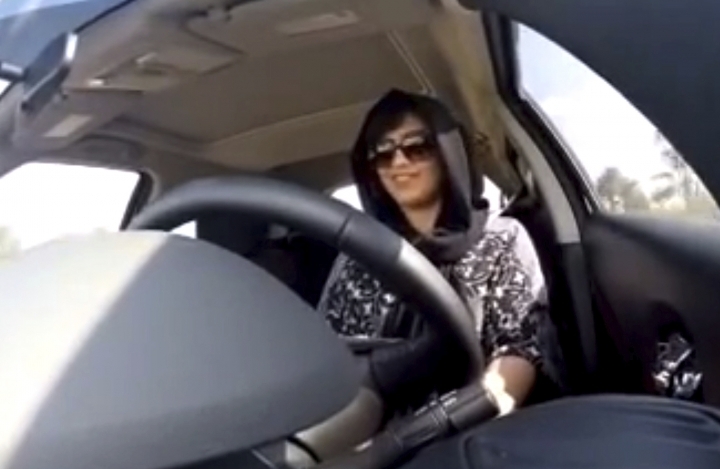 The crackdown on prominent activists comes just six weeks before Saudi Arabia is set to lift the world's only ban on women driving on June 24. It is seen as a significant step toward greater women's rights in the kingdom. Among those detained since Tuesday is Loujain al-Hathloul, who was arrested in late 2014 and held for more than 70 days for criticizing the government online and pushing for the right to drive. Others arrested include Eman al-Nafjan and Aziza al-Yousef, two of the most well-known women's rights activists in the kingdom who for years had campaigned for the right to drive and were involved in human rights issues in the kingdom. Al-Nafjan and al-Yousef have both taught at state-run universities and are mothers, with al-Yousef also a grandmother. The three women had also called for an end to other less visible forms of discrimination in Saudi Arabia, such as guardianship laws that give male relatives final say on whether a woman can travel abroad, obtain a passport or marry. When the kingdom issued its stunning royal decree last year announcing that women would be allowed to drive in 2018, women like al-Nafjan and al-Yousef were contacted by the royal court and warned against giving interviews to the media or speaking out on social media. Following the warnings, some women left the country for a period of time and others stopped voicing their opinions on Twitter. Activists say it's not clear why the group of six, including four women and two men, have been arrested now. Among the men detained is lawyer Ibrahim al-Mudimigh, who previously defended al-Hathloul in court. As activists remain under pressure to keep silent, credit for reforms, such as lifting the ban on women driving, has largely gone to the king's 32-year-old son and heir, Crown Prince Mohammed bin Salman. He has relaxed some of the country's ultraconservative rules by allowing women into stadiums to watch sports and bringing back musical concerts and movie theaters. Such measures, however, are more about boosting the economy and improving the country's image abroad, and less about promoting personal freedoms. The kingdom remains an absolute monarchy where protests are illegal and where the king and his son oversee all major decision-making. Last year, Prince Mohammed oversaw the arrests of high-level princes and businessmen in a purported anti-corruption sweep that forced detainees to sign over significant portions of their wealth in exchange for their freedom. Security forces also arrested last year dozens of writers, intellectuals and moderate clerics who were perceived as critics of his foreign policies, according to activists. Human Rights Watch says the number of people held for excessively long periods has apparently increased dramatically in recent years in Saudi Arabia. The rights group, which analyzed a public database, said on May 6 that 2,305 people have been detained for more than six months without being referred to a judge. Another 1,875 have been held "under investigation" for more than a year, and 251 for over three years. Copyright © 2015 - 2019 Entertainment - Morning Dispatcher. All Rights Reserved.